Explore the Mercedes-Benz E-Class info, and find a number of used Mercedes-Benz E-Class sedans at surprisingly affordable prices at our dealership near Stockton. JUST REPRICED FROM $49,991. Mercedes-Benz Certified, Excellent Condition, CARFAX 1-Owner. Navigation, Sunroof, Heated Seats. SEE MORE! KEY FEATURES INCLUDE Navigation, Turbocharged, iPod/MP3 Input, Onboard Communications System, Aluminum Wheels MP3 Player, Steering Wheel Controls, Child Safety Locks, Heated Mirrors, Electronic Stability Control. OPTION PACKAGES PREMIUM 1 PACKAGE KEYLESS-GO, KEYLESS-GO Comfort Package Code, Blind Spot Assist, Heated Front Seats, Rear View Camera, SiriusXM Radio, free trial period, Hands-Free Access, NFC Wireless Charging, Parking Pilot, Electric Trunk Closer, PANORAMA ROOF power tilt/sliding sunroof, BURMESTER SURROUND SOUND SYSTEM 590 Watts, 13 speakers. Mercedes-Benz E 300 Sport with Lunar Blue Metallic exterior and Nut Brown / Black interior features a 4 Cylinder Engine with 241 HP at 5500 RPM*. Serviced here, Non-Smoker vehicle, Originally bought here. EXPERTS RAVE The new engine delivers surprisingly strong performance while remaining quiet and smooth at nearly any speed. A sophisticated suspension, powerful brakes, and precise but lightweight steering further contribute to the E300's ultra-refined feel. -Edmunds.com. EXCELLENT VALUE Was $49,991. This E 300 is priced $3,600 below Kelley Blue Book. BUY WITH CONFIDENCE Balance of New Car Warranty plus 1 year/unlimited miles extended Limited Warranty, 24-Hour Roadside Assistance, Carfax Vehicle History Report, NO Deductible, Rigorous Inspection by Factory Certified Technicians VISIT US TODAY Mercedes-Benz of Modesto in Modesto, CA treats the needs of each individual customer with paramount concern. We know that you have high expectations Pricing analysis performed on 4/19/2019. Horsepower calculations based on trim engine configuration. Please confirm the accuracy of the included equipment by calling us prior to purchase.JUST REPRICED FROM $49,991. Mercedes-Benz Certified, Excellent Condition, CARFAX 1-Owner. Navigation, Sunroof, Heated Seats. SEE MORE! Navigation, Turbocharged, iPod/MP3 Input, Onboard Communications System, Aluminum Wheels MP3 Player, Steering Wheel Controls, Child Safety Locks, Heated Mirrors, Electronic Stability Control. PREMIUM 1 PACKAGE KEYLESS-GO, KEYLESS-GO Comfort Package Code, Blind Spot Assist, Heated Front Seats, Rear View Camera, SiriusXM Radio, free trial period, Hands-Free Access, NFC Wireless Charging, Parking Pilot, Electric Trunk Closer, PANORAMA ROOF power tilt/sliding sunroof, BURMESTER SURROUND SOUND SYSTEM 590 Watts, 13 speakers. Mercedes-Benz E 300 Sport with Lunar Blue Metallic exterior and Nut Brown / Black interior features a 4 Cylinder Engine with 241 HP at 5500 RPM*. Serviced here, Non-Smoker vehicle, Originally bought here. The new engine delivers surprisingly strong performance while remaining quiet and smooth at nearly any speed. A sophisticated suspension, powerful brakes, and precise but lightweight steering further contribute to the E300's ultra-refined feel. -Edmunds.com. Was $49,991. This E 300 is priced $3,600 below Kelley Blue Book. Mercedes-Benz Certified, Excellent Condition, CARFAX 1-Owner, GREAT MILES 9,160! WAS $54,991. Navigation, Heated Seats, Sunroof CLICK ME! KEY FEATURES INCLUDE Navigation, Back-Up Camera, Turbocharged, iPod/MP3 Input, Onboard Communications System MP3 Player, Steering Wheel Controls, Child Safety Locks, Electronic Stability Control, Heated Mirrors. OPTION PACKAGES PREMIUM 2 PACKAGE (Q02) KEYLESS-GO Comfort Package Code, Parking Assist Package Code, LED Intelligent Light System, Lighting Package Code, Power Rear-Window Sunshade, Air Balance Package, KEYLESS-GO, Adaptive Highbeam Assist, Heated Front Seats, Blind Spot Assist, SiriusXM Radio, free trial period, Hands-Free Access, NFC Wireless Charging, Active Parking Assist, Electric Trunk Closer, PANORAMA ROOF power tilt/sliding sunroof, BURMESTER SURROUND SOUND SYSTEM 590 Watts, 13 high-performance speakers, 9 channel DSP amplifier, Frontbass technology, sound optimization, noise compensation and sound preset, AMG LINE EXTERIOR AMG Body Styling, Sport Interior, Sport Interior (P15), Perforated Front Brake Discs & Fr Brake Calipers, REAR SPOILER, WHEELS: 18 AMG 5-SPOKE Tires: 18 AS. Mercedes-Benz E 300 with Selenite Grey Metallic exterior and Black interior features a 4 Cylinder Engine with 241 HP at 5500 RPM*. Serviced here, Non-Smoker vehicle, Originally bought here. AFFORDABLE TO OWN Was $54,991. This E 300 is priced $500 below Kelley Blue Book. PURCHASE WITH CONFIDENCE Balance of New Car Warranty plus 1 year/unlimited miles extended Limited Warranty, 24-Hour Roadside Assistance, Carfax Vehicle History Report, NO Deductible, Rigorous Inspection by Factory Certified Technicians Pricing analysis performed on 4/19/2019. Horsepower calculations based on trim engine configuration. Fuel economy calculations based on original manufacturer data for trim engine configuration. Please confirm the accuracy of the included equipment by calling us prior to purchase.Mercedes-Benz Certified, Excellent Condition, CARFAX 1-Owner, GREAT MILES 9,160! WAS $54,991. Navigation, Heated Seats, Sunroof CLICK ME! Navigation, Back-Up Camera, Turbocharged, iPod/MP3 Input, Onboard Communications System MP3 Player, Steering Wheel Controls, Child Safety Locks, Electronic Stability Control, Heated Mirrors. PREMIUM 2 PACKAGE (Q02) KEYLESS-GO Comfort Package Code, Parking Assist Package Code, LED Intelligent Light System, Lighting Package Code, Power Rear-Window Sunshade, Air Balance Package, KEYLESS-GO, Adaptive Highbeam Assist, Heated Front Seats, Blind Spot Assist, SiriusXM Radio, free trial period, Hands-Free Access, NFC Wireless Charging, Active Parking Assist, Electric Trunk Closer, PANORAMA ROOF power tilt/sliding sunroof, BURMESTER SURROUND SOUND SYSTEM 590 Watts, 13 high-performance speakers, 9 channel DSP amplifier, Frontbass technology, sound optimization, noise compensation and sound preset, AMG LINE EXTERIOR AMG Body Styling, Sport Interior, Sport Interior (P15), Perforated Front Brake Discs & Fr Brake Calipers, REAR SPOILER, WHEELS: 18 AMG 5-SPOKE Tires: 18 AS. Mercedes-Benz E 300 with Selenite Grey Metallic exterior and Black interior features a 4 Cylinder Engine with 241 HP at 5500 RPM*. Serviced here, Non-Smoker vehicle, Originally bought here. Was $54,991. This E 300 is priced $500 below Kelley Blue Book. Mercedes-Benz Certified, Excellent Condition, CARFAX 1-Owner. PRICE DROP FROM $59,991. Heated Seats, Moonroof, Nav System, COMFORT BOX AND MORE! KEY FEATURES INCLUDE Navigation, Sunroof, Back-Up Camera, Turbocharged, iPod/MP3 Input MP3 Player, Steering Wheel Controls, Child Safety Locks, Electronic Stability Control, Heated Mirrors. OPTION PACKAGES PREMIUM 2 PACKAGE KEYLESS-GO Comfort Package Code, Parking Assist Package Code, LED Intelligent Light System, Lighting Package Code, Power Rear-Window Sunshade, Air Balance Package, 12.3 Widescreen Instrument Cluster, KEYLESS-GO, Adaptive Highbeam Assist, Blind Spot Assist, Heated Front Seats, SiriusXM Radio, free trial period, Hands-Free Access, NFC Wireless Charging, Active Parking Assist, Electric Trunk Closer, WARMTH & COMFORT PACKAGE Galvanized Shift Paddles, Warmth & Comfort Package Code, Heated Steering Wheel, Heated Armrests, Rapid Heating Functionality for Front Seats, BURMESTER SURROUND SOUND SYSTEM 590 Watts, 13 high-performance speakers, 9 channel DSP amplifier, Frontbass technology, sound optimization, noise compensation and sound preset, AMG LINE EXTERIOR AMG Body Styling, Sport Interior, Sport Interior (P15), Perforated Front Brake Discs & Fr Brake Calipers, WHEELS: 19 AMG TWIN 5-SPOKE Tires: 19 AS, ILLUMINATED STAR, REAR SPOILER, COMFORT BOX. Serviced here, Non-Smoker vehicle, Originally bought here. EXPERTS RAVE Great Gas Mileage: 30 MPG Hwy. A GREAT TIME TO BUY Was $59,991. SHOP WITH CONFIDENCE Balance of New Car Warranty plus 1 year/unlimited miles extended Limited Warranty, 24-Hour Roadside Assistance, Carfax Vehicle History Report, NO Deductible, Rigorous Inspection by Factory Certified Technicians Pricing analysis performed on 4/19/2019. Horsepower calculations based on trim engine configuration. Fuel economy calculations based on original manufacturer data for trim engine configuration. Please confirm the accuracy of the included equipment by calling us prior to purchase.Mercedes-Benz Certified, Excellent Condition, CARFAX 1-Owner. PRICE DROP FROM $59,991. Heated Seats, Moonroof, Nav System, COMFORT BOX AND MORE! Navigation, Sunroof, Back-Up Camera, Turbocharged, iPod/MP3 Input MP3 Player, Steering Wheel Controls, Child Safety Locks, Electronic Stability Control, Heated Mirrors. PREMIUM 2 PACKAGE KEYLESS-GO Comfort Package Code, Parking Assist Package Code, LED Intelligent Light System, Lighting Package Code, Power Rear-Window Sunshade, Air Balance Package, 12.3 Widescreen Instrument Cluster, KEYLESS-GO, Adaptive Highbeam Assist, Blind Spot Assist, Heated Front Seats, SiriusXM Radio, free trial period, Hands-Free Access, NFC Wireless Charging, Active Parking Assist, Electric Trunk Closer, WARMTH & COMFORT PACKAGE Galvanized Shift Paddles, Warmth & Comfort Package Code, Heated Steering Wheel, Heated Armrests, Rapid Heating Functionality for Front Seats, BURMESTER SURROUND SOUND SYSTEM 590 Watts, 13 high-performance speakers, 9 channel DSP amplifier, Frontbass technology, sound optimization, noise compensation and sound preset, AMG LINE EXTERIOR AMG Body Styling, Sport Interior, Sport Interior (P15), Perforated Front Brake Discs & Fr Brake Calipers, WHEELS: 19 AMG TWIN 5-SPOKE Tires: 19 AS, ILLUMINATED STAR, REAR SPOILER, COMFORT BOX. Serviced here, Non-Smoker vehicle, Originally bought here. Mercedes-Benz Certified, Excellent Condition, CARFAX 1-Owner, ONLY 4,910 Miles! PRICE DROP FROM $55,991. Nav System, Moonroof SEE MORE! KEY FEATURES INCLUDE Navigation, Sunroof, Turbocharged, iPod/MP3 Input, Onboard Communications System. MP3 Player, Child Safety Locks, Steering Wheel Controls, Electronic Stability Control, Heated Mirrors. OPTION PACKAGES DRIVER ASSISTANCE PACKAGE Speed Limit Assist, Driver Assistance Package Plus, Active Speed Limit Assist, DISTRONIC PLUS w/PRESAFE Brake, Route Based Speed Adaptation, Steering Assist, PRESAFE Impulse Side, PREMIUM 1 PACKAGE KEYLESS-GO, KEYLESS-GO Comfort Package Code, SiriusXM Radio, 6-month All Access Plan trial, Hands-Free Access, NFC Wireless Charging, Electric Trunk Closer, PARKING ASSISTANCE PACKAGE Surround View Camera, Active Parking Assist, BURMESTER SURROUND SOUND SYSTEM 590 Watts, 13 high-performance speakers, 9 channel DSP amplifier, Frontbass technology, sound optimization, noise compensation and sound preset, AMG LINE EXTERIOR: AMG Body Styling, Sport Interior, Sport Interior (P15), Perforated Front Brake Discs & Fr Brake Calipers, COMFORT BOX, HEATED STEERING WHEEL, WHEELS: 18 AMG 5-SPOKE. Mercedes-Benz E 300 with Black exterior and Nut Brown/Black interior features a 4 Cylinder Engine with 241 HP at 5500 RPM*. Serviced here, Non-Smoker vehicle, Originally bought here. VEHICLE REVIEWS Great Gas Mileage: 30 MPG Hwy. A GREAT TIME TO BUY Reduced from $55,991. 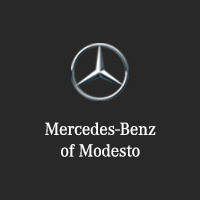 BUY WITH CONFIDENCE Balance of New Car Warranty plus 1 year/unlimited miles extended Limited Warranty, 24-Hour Roadside Assistance, Carfax Vehicle History Report, NO Deductible, Rigorous Inspection by Factory Certified Technicians VISIT US TODAY Mercedes-Benz of Modesto in Modesto Horsepower calculations based on trim engine configuration. Fuel economy calculations based on original manufacturer data for trim engine configuration. Please confirm the accuracy of the included equipment by calling us prior to purchase.Mercedes-Benz Certified, Excellent Condition, CARFAX 1-Owner, ONLY 4,910 Miles! PRICE DROP FROM $55,991. Nav System, Moonroof SEE MORE! Navigation, Sunroof, Turbocharged, iPod/MP3 Input, Onboard Communications System. MP3 Player, Child Safety Locks, Steering Wheel Controls, Electronic Stability Control, Heated Mirrors. DRIVER ASSISTANCE PACKAGE Speed Limit Assist, Driver Assistance Package Plus, Active Speed Limit Assist, DISTRONIC PLUS w/PRESAFE Brake, Route Based Speed Adaptation, Steering Assist, PRESAFE Impulse Side, PREMIUM 1 PACKAGE KEYLESS-GO, KEYLESS-GO Comfort Package Code, SiriusXM Radio, 6-month All Access Plan trial, Hands-Free Access, NFC Wireless Charging, Electric Trunk Closer, PARKING ASSISTANCE PACKAGE Surround View Camera, Active Parking Assist, BURMESTER SURROUND SOUND SYSTEM 590 Watts, 13 high-performance speakers, 9 channel DSP amplifier, Frontbass technology, sound optimization, noise compensation and sound preset, AMG LINE EXTERIOR: AMG Body Styling, Sport Interior, Sport Interior (P15), Perforated Front Brake Discs & Fr Brake Calipers, COMFORT BOX, HEATED STEERING WHEEL, WHEELS: 18 AMG 5-SPOKE. Mercedes-Benz E 300 with Black exterior and Nut Brown/Black interior features a 4 Cylinder Engine with 241 HP at 5500 RPM*. Serviced here, Non-Smoker vehicle, Originally bought here. WAS $55,991. Mercedes-Benz Certified, CARFAX 1-Owner, Excellent Condition, LOW MILES - 19,295! Navigation, Heated Seats, Moonroof CLICK NOW! KEY FEATURES INCLUDE Navigation, Full-Time 4MATIC All-Wheel Drive, Turbocharged, iPod/MP3 Input, Onboard Communications System MP3 Player, Child Safety Locks, Steering Wheel Controls, Electronic Stability Control, Heated Mirrors. OPTION PACKAGES PREMIUM 2 PACKAGE AIR BALANCE Package, Power Rear-Window Shade, 12.3 Widescreen Instrument Cluster, KEYLESS-GO Comfort Package, KEYLESS-GO, HANDS-FREE ACCESS, Electronic Trunk Closer, Blind Spot Assist, Heated Front Seats, Rearview Camera, SiriusXM Satellite Radio, free trial period, Inductive Wireless Charging w/NFC Pairing, Active Parking Assist, Lighting Package, Adaptive Highbeam Assist, Full LED Headlamps, Corner-illuminating Lamps, PANORAMA SUNROOF, BURMESTER SURROUND SOUND SYSTEM 13 high-performance speakers, 9-channel DSP amplifier w/590 watts, Frontbass technology, sound optimization, noise compensation and Dolby 5.1/DTS support, AMG LINE EXTERIOR AMG Bodystyling, Perforated Front Brake Discs, ILLUMINATED STAR: full time illumination, REAR DECK SPOILER, COMFORT BOX, WHEELS: 18 AMG 5-SPOKE. Mercedes-Benz E 400 with Selenite Grey Metallic exterior and Black interior features a V6 Cylinder Engine with 329 HP at 5250 RPM*. Serviced here, Non-Smoker vehicle, Originally bought here. EXPERTS RAVE Edmunds.com explains Whether you value comfort EXCELLENT VALUE Reduced from $55,991. This E 400 is priced $8,600 below Kelley Blue Book. BUY WITH CONFIDENCE Balance of New Car Warranty plus 1 year/unlimited miles extended Limited Warranty, 24-Hour Roadside Assistance, Carfax Vehicle History Report, NO Deductible, Rigorous Inspection by Factory Certified Technicians Pricing analysis performed on 4/15/2019. Horsepower calculations based on trim engine configuration. Please confirm the accuracy of the included equipment by calling us prior to purchase.WAS $55,991. Mercedes-Benz Certified, CARFAX 1-Owner, Excellent Condition, LOW MILES - 19,295! Navigation, Heated Seats, Moonroof CLICK NOW! Navigation, Full-Time 4MATIC All-Wheel Drive, Turbocharged, iPod/MP3 Input, Onboard Communications System MP3 Player, Child Safety Locks, Steering Wheel Controls, Electronic Stability Control, Heated Mirrors. PREMIUM 2 PACKAGE AIR BALANCE Package, Power Rear-Window Shade, 12.3 Widescreen Instrument Cluster, KEYLESS-GO Comfort Package, KEYLESS-GO, HANDS-FREE ACCESS, Electronic Trunk Closer, Blind Spot Assist, Heated Front Seats, Rearview Camera, SiriusXM Satellite Radio, free trial period, Inductive Wireless Charging w/NFC Pairing, Active Parking Assist, Lighting Package, Adaptive Highbeam Assist, Full LED Headlamps, Corner-illuminating Lamps, PANORAMA SUNROOF, BURMESTER SURROUND SOUND SYSTEM 13 high-performance speakers, 9-channel DSP amplifier w/590 watts, Frontbass technology, sound optimization, noise compensation and Dolby 5.1/DTS support, AMG LINE EXTERIOR AMG Bodystyling, Perforated Front Brake Discs, ILLUMINATED STAR: full time illumination, REAR DECK SPOILER, COMFORT BOX, WHEELS: 18 AMG 5-SPOKE. Mercedes-Benz E 400 with Selenite Grey Metallic exterior and Black interior features a V6 Cylinder Engine with 329 HP at 5250 RPM*. Serviced here, Non-Smoker vehicle, Originally bought here. Reduced from $55,991. This E 400 is priced $8,600 below Kelley Blue Book. CARFAX 1-Owner, Mercedes-Benz Certified, Excellent Condition, ONLY 8,310 Miles! WAS $61,691. Nav System, Moonroof, Heated Seats CLICK ME! KEY FEATURES INCLUDE Navigation, Full-Time 4MATIC All-Wheel Drive, Back-Up Camera, Turbocharged, iPod/MP3 Input MP3 Player, Steering Wheel Controls, Child Safety Locks, Heated Mirrors, Electronic Stability Control. OPTION PACKAGES PREMIUM 2 PACKAGE KEYLESS-GO Comfort Package Code, Parking Assist Package Code, LED Intelligent Light System, Lighting Package Code, Power Rear-Window Sunshade, Air Balance Package, 12.3 Widescreen Instrument Cluster, KEYLESS-GO, Adaptive Highbeam Assist, Blind Spot Assist, Heated Front Seats, SiriusXM Radio, free trial period, Hands-Free Access, NFC Wireless Charging, Active Parking Assist, Electric Trunk Closer, PANORAMA ROOF power tilt/sliding sunroof, BURMESTER SURROUND SOUND SYSTEM 590 Watts, 13 high-performance speakers, 9 channel DSP amplifier, Frontbass technology, sound optimization, noise compensation and sound preset, REAR SPOILER. Mercedes-Benz E 300 with Black exterior and Black interior features a 4 Cylinder Engine with 241 HP at 5500 RPM*. Serviced here, Non-Smoker vehicle, Originally bought here. EXPERTS CONCLUDE Whether you value comfort, performance or technology in your midsize luxury sedan, coupe, convertible or wagon Great Gas Mileage: 29 MPG Hwy. A GREAT VALUE Was $61,691. BUY WITH CONFIDENCE CARFAX 1-Owner Balance of New Car Warranty plus 1 year/unlimited miles extended Limited Warranty, 24-Hour Roadside Assistance, Carfax Vehicle History Report, NO Deductible, Rigorous Inspection by Factory Certified Technicians WHY BUY FROM US Mercedes-Benz of Modesto in Modesto Pricing analysis performed on 4/19/2019. Horsepower calculations based on trim engine configuration. Fuel economy calculations based on original manufacturer data for trim engine configuration. Please confirm the accuracy of the included equipment by calling us prior to purchase.CARFAX 1-Owner, Mercedes-Benz Certified, Excellent Condition, ONLY 8,310 Miles! WAS $61,691. Nav System, Moonroof, Heated Seats CLICK ME! Navigation, Full-Time 4MATIC All-Wheel Drive, Back-Up Camera, Turbocharged, iPod/MP3 Input MP3 Player, Steering Wheel Controls, Child Safety Locks, Heated Mirrors, Electronic Stability Control. PREMIUM 2 PACKAGE KEYLESS-GO Comfort Package Code, Parking Assist Package Code, LED Intelligent Light System, Lighting Package Code, Power Rear-Window Sunshade, Air Balance Package, 12.3 Widescreen Instrument Cluster, KEYLESS-GO, Adaptive Highbeam Assist, Blind Spot Assist, Heated Front Seats, SiriusXM Radio, free trial period, Hands-Free Access, NFC Wireless Charging, Active Parking Assist, Electric Trunk Closer, PANORAMA ROOF power tilt/sliding sunroof, BURMESTER SURROUND SOUND SYSTEM 590 Watts, 13 high-performance speakers, 9 channel DSP amplifier, Frontbass technology, sound optimization, noise compensation and sound preset, REAR SPOILER. Mercedes-Benz E 300 with Black exterior and Black interior features a 4 Cylinder Engine with 241 HP at 5500 RPM*. Serviced here, Non-Smoker vehicle, Originally bought here. Whether you value comfort, performance or technology in your midsize luxury sedan, coupe, convertible or wagon Great Gas Mileage: 29 MPG Hwy. REDUCED FROM $65,991! Excellent Condition, CARFAX 1-Owner, Mercedes-Benz Certified. Heated Leather Seats, Sunroof, NAV, Turbo CLICK NOW! KEY FEATURES INCLUDE Leather Seats, Navigation, Sunroof, Panoramic Roof, Back-Up Camera. MP3 Player, Keyless Entry, Steering Wheel Controls, Electronic Stability Control, Heated Mirrors. OPTION PACKAGES MULTI-CONTOUR FRONT SEATS W/MASSAGE FEATURE, BURMESTER SURROUND SOUND SYSTEM 13 high-performance speakers, 9-channel DSP amplifier w/590 watts, Frontbass technology, sound optimization, noise compensation and Dolby 5.1/DTS support, WHEELS: 19 AMG TWIN 5-SPOKE (RTD) Tires: 19, HEATED & ACTIVE VENTILATED FRONT SEATS, REAR DECK SPOILER. Mercedes-Benz E 400 with Iridium Silver Metallic exterior and Black interior features a V6 Cylinder Engine with 329 HP at 5250 RPM*. Serviced here, Non-Smoker vehicle, Originally bought here. EXPERTS ARE SAYING Whether you value comfort, performance or technology in your midsize luxury sedan, coupe, convertible or wagon, the 2018 Mercedes-Benz E-Class should be right at the top of your list. -Edmunds.com. AFFORDABILITY Was $65,991. This E 400 is priced $1,500 below Kelley Blue Book. PURCHASE WITH CONFIDENCE Balance of New Car Warranty plus 1 year/unlimited miles extended Limited Warranty, 24-Hour Roadside Assistance, Carfax Vehicle History Report, NO Deductible, Rigorous Inspection by Factory Certified Technicians MORE ABOUT US Mercedes-Benz of Modesto in Modesto, CA treats the needs of each individual customer with paramount concern. We know that you have high expectations Pricing analysis performed on 4/14/2019. Horsepower calculations based on trim engine configuration. Please confirm the accuracy of the included equipment by calling us prior to purchase.REDUCED FROM $65,991! Excellent Condition, CARFAX 1-Owner, Mercedes-Benz Certified. Heated Leather Seats, Sunroof, NAV, Turbo CLICK NOW! Leather Seats, Navigation, Sunroof, Panoramic Roof, Back-Up Camera. MP3 Player, Keyless Entry, Steering Wheel Controls, Electronic Stability Control, Heated Mirrors. MULTI-CONTOUR FRONT SEATS W/MASSAGE FEATURE, BURMESTER SURROUND SOUND SYSTEM 13 high-performance speakers, 9-channel DSP amplifier w/590 watts, Frontbass technology, sound optimization, noise compensation and Dolby 5.1/DTS support, WHEELS: 19 AMG TWIN 5-SPOKE (RTD) Tires: 19, HEATED & ACTIVE VENTILATED FRONT SEATS, REAR DECK SPOILER. Mercedes-Benz E 400 with Iridium Silver Metallic exterior and Black interior features a V6 Cylinder Engine with 329 HP at 5250 RPM*. Serviced here, Non-Smoker vehicle, Originally bought here. Whether you value comfort, performance or technology in your midsize luxury sedan, coupe, convertible or wagon, the 2018 Mercedes-Benz E-Class should be right at the top of your list. -Edmunds.com. Was $65,991. This E 400 is priced $1,500 below Kelley Blue Book. We’re here to serve all your luxury auto desires near Stockton, and you can reach us at (855) 474-0585.